Sachyio lives in the UK. 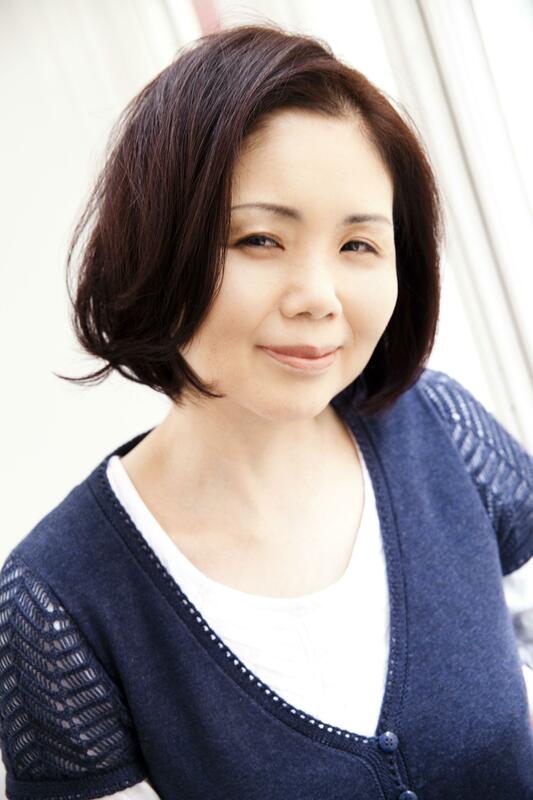 Her Mum has MDS, but lives in Japan. A few of our members have family far away, and when travel is particularly difficult or expensive it gets really hard. So this is the contribution of one daughter – helping her Mum cope with MDS and helping to raise awareness internationally. Take a look at her brilliant blog full of amazing ideas and gifts. When my Dad sends me an e-mail without me writing to him first, he usually has bad news. My mother has MDS, Myelodysplastic syndromes. MDS are a group of diseases in which the production of blood cells by the bone marrow is faulty. She was diagnosed with the illness sometime ago and has been getting blood transfusions every 10 days. It is believed that many patients develop leukemia a few years after the diagnosis although it isn’t always the case. Together with new drug treatments, my mum has been relatively doing well. She had slight temperatures for a few days in August and was losing her strength. She ended up spending two weeks in hospital. She recovered a little but she is back in hospital again. This time, the doctors suspect she has infections, possibly Sepsis, the blood poisoning. I felt devastated. I was devastated the first time when I was told about her condition, but even more so this time. For the saddest moment, I started preparations quietly. I asked Dad if I should fly to see her right away, but no, he said. I should wait for a few days until the test results come out. Feeling restless, I started searching for charities related to her illness and I found MDS UK Patients supporting group. I filled in the membership form online and a day later, I received a very warm welcome by e-mail. I will be receiving the information pack soon but I can call them any time if I wanted to speak to them. I felt that I have found another family. They offer regional meeting for patients and families and I would love to participate these although Mum is in Japan. Some patients may benefit from her story. She has been living with MDS almost 15 years (!). I don’t want her suffering to go to waste and I think I can make a difference no matter how small that can be. I want support from others, but at the same time, I want to support the people in the same situation. I shouldn’t shut everyone out and cry all by myself. 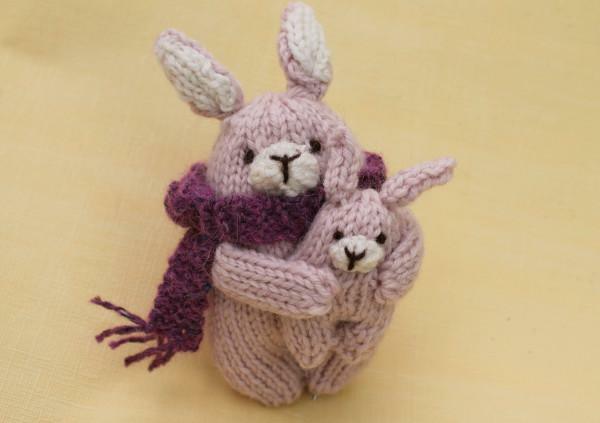 Thinking of her mum, Sachi Ishii knitted these beautiful bunnies. 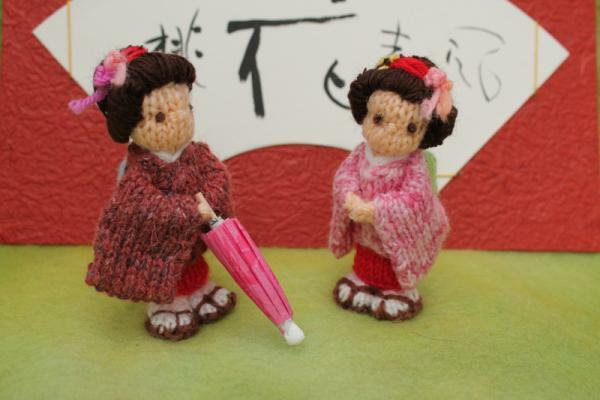 Visit Sachi's blog with more of her delightful knitted toys. 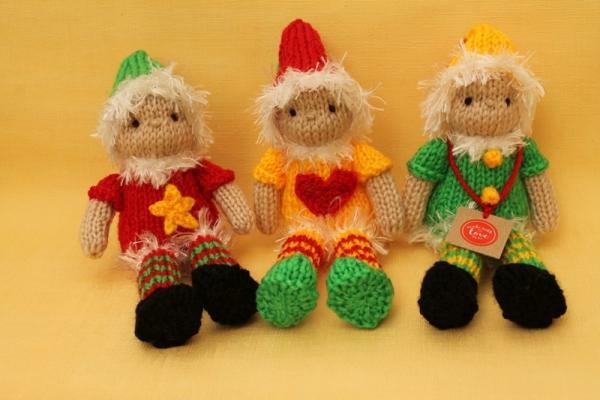 I am also hoping to be able to make use of my sewing, knitting and cooking skills for fundraising. I may not be able to run a marathon or climb Kilimanjaro, but there must be something I can do for the group. I have been working as a craft designer for last few years, and it is the time to up a game and offer something more. I have decided to book a trip to Japan for winter holidays, hoping that I will not need to travel any earlier. Five years ago when we visited her, she said it would be the last New Year’s Day that we could celebrate together. We are extremely lucky.